Today, here are quick mini-reviews for: Escape Plan and Carrie. Starring: Sylvester Stallone (The Expendables), Arnold Schwarzenegger (Terminator), Jim Caviezel (The Count of Monte Cristo) and more. The characters keep the level of believability going in this thriller that has plenty of the staple prison characters ranging from the competitively controlling and prepared warden to the sadistic guards to the segregated groups of inmates and warring factions. The best aspect of the film is the chemistry between Stallone and Schwarzenegger who look as if every day on set was just fun and enjoyable. Though underused to a degree, Curtis “50cent” Jackson, Vincent D’Onifrio, Sam Neill and Amy Ryan round out the supporting cast and keep the film down to earth. Escape Plan is not as captivating as other action films, but does carry a degree of reality along with disbelief that makes films like these more enjoyable. 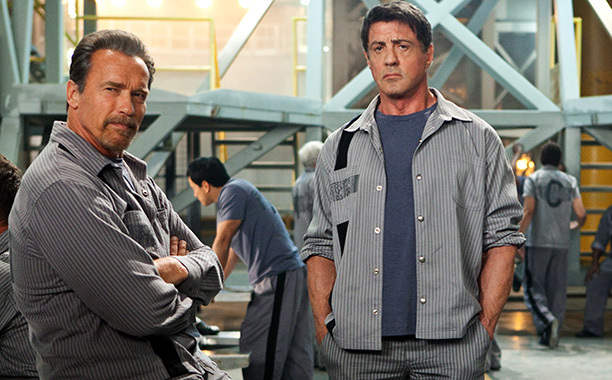 In the whole grand scheme of films such as this, Escape Plan is, by far, one of the best. Plus, who knows how many more years we will be able to watch Stallone and Schwarzenegger on screen, mumbling through their lines, and slinging their steroid/geritol powered fists towards one another all the while cracking jokes. This is a fun film and fans of the cast members and genre will enjoy it undoubtedly. Though its plot is a tad bit silly and its reveals can be seen from early on, it’s still not a waste of time. I enjoyed it, especially seeing/hearing the inner monologue narration and following Stallone’s character’s process of breaking out of prisons. Check it out. Starring: Chloë Grace Moretz (Hugo), Julianne Moore (Magnolia), Gabriella Wilde (The Three Musketeers) and more. Rating: R for strong language, sexual content, bloody and disturbing images, violence and more. First off, I have to say that Moretz does a great job at creating empathy for the title character. Audiences will feel for her and be happy in the few moments that she is and also be upset or angry right alongside her. Her innocence is greatly portrayed in a way that continues to set great expectations for the future of this young and already successful starlet. This “coming of age and out from under oppression” film focuses not only on the development of Carrie, but also a little bit on the characters around her. But that development remains rather stale and insufficient when compared to the larger picture. With a pace and feel that is all over the place, director Peirce seems uncertain of (1) her target audience and (2) her desired genre as the film (retold with today’s technology infused into the story) makes audiences laugh more than expected in a horror film. Fans of the original have been advised in numerous reviews to just stick with it and I am sure that upon watching the original, my opinion will mirror that statement. Julianne Moore gives an undeniably strong and real performance as the overbearing mother with definite issues. The camera angles used in the film add to its overall appeal, but the film as a whole lacks. When things begin to really take off, they do so only after cutting short the only real connection onscreen (that of Moretz and co-star Ansel Elgort who plays Tommy Ross, her date to the prom) and without any gravity. Leading to an ending that turns out to be full of further cliche moments and reveals, Carrie disappointed far more than desired. Remakes often do. I suppose this is a decent film for a younger generation unaware of the story and will serve well on an anti-bully campaign, but, much like Chronicle (which was better), this film remains less than memorable…unfortunately. up next: Finally, my delayed final recap of the White Sands International Film Festival! Not even going to see Carrie! Totally agree on Escape Plan, a fun action/thriller that didn’t take itself too seriously, too many action movies today seems to take itself way too seriously even though the plot was so ridiculous. Good call on comparing it to Fortress, used to love watching that movie. It also reminded me of Stallone’s other prison set film, Lock Up. 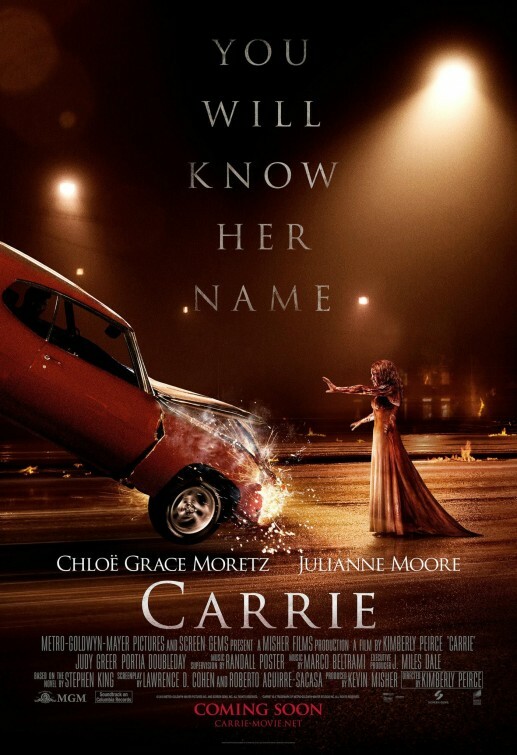 As for the Carrie remake, I think I’ll pass. I enjoyed King’s novel, De Palma’s original film was creepy but wasn’t that great. See it if you want to compare to this remake, it’s definitely creepy though. Hey Ted. Thanks for stopping by. I kept thinking about Fortress while I was watching it. You automatically win just because you know about that movie too! haha. Tajuana! Sorry for my delayed response. I’ve been not on the internet for a while. ha. Yes, I love that we have similar comments and senses of humor in our reviews. hahaha I will have to stop by soon. 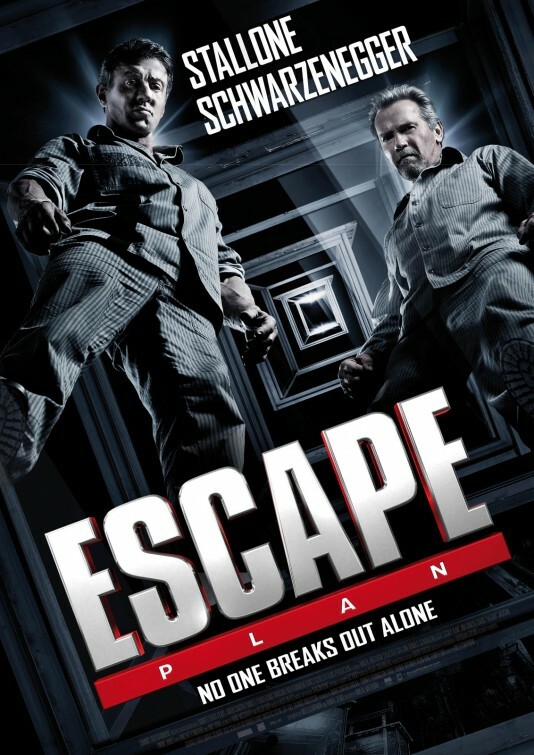 I’m excited for both these films – Escape Plan more than Carrie, but I’ll see anything with Moretz in it…. Moretz is an actress I like to see onscreen but some of her choices…meh. Escape Plan looks like fun. As for Carrie, well, I watched the original for the first time this month, and it’s terrific. I think you’ll enjoy it a lot better than the remake. I wasn’t able to watch the original this past week…too much work. But it is on the docket for this week. I will let ya know. Thanks for reading, Morgan.